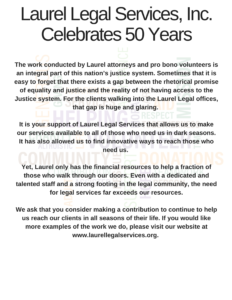 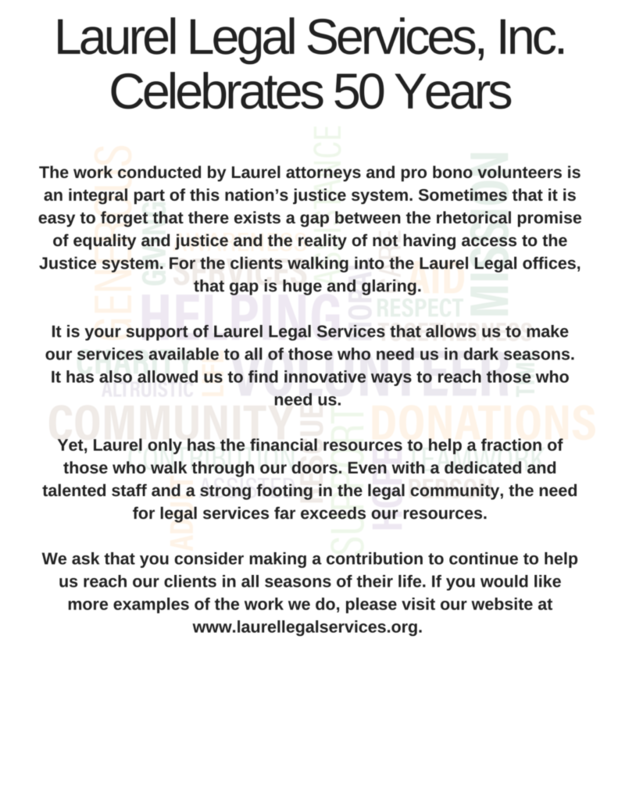 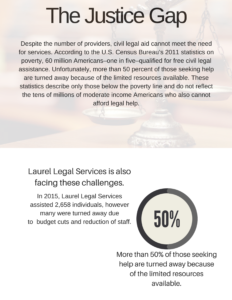 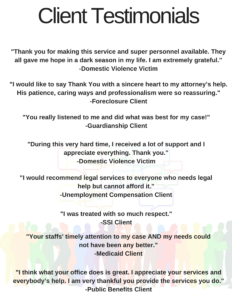 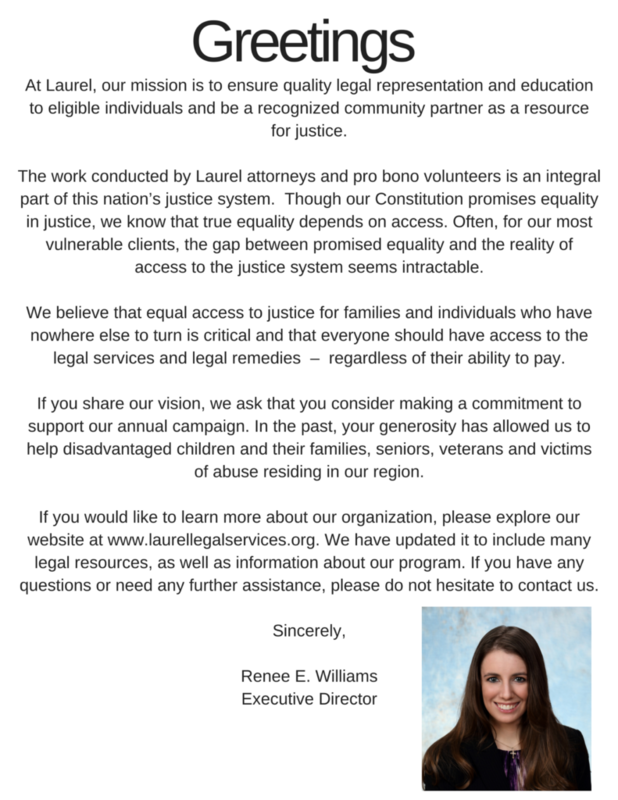 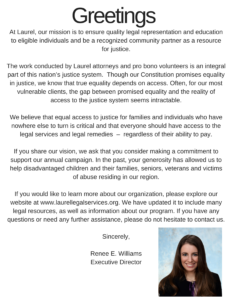 What We Do – Laurel Legal Services, Inc.
Laurel strives to ensure access to justice by providing free “civil” legal services to low income individuals and families. 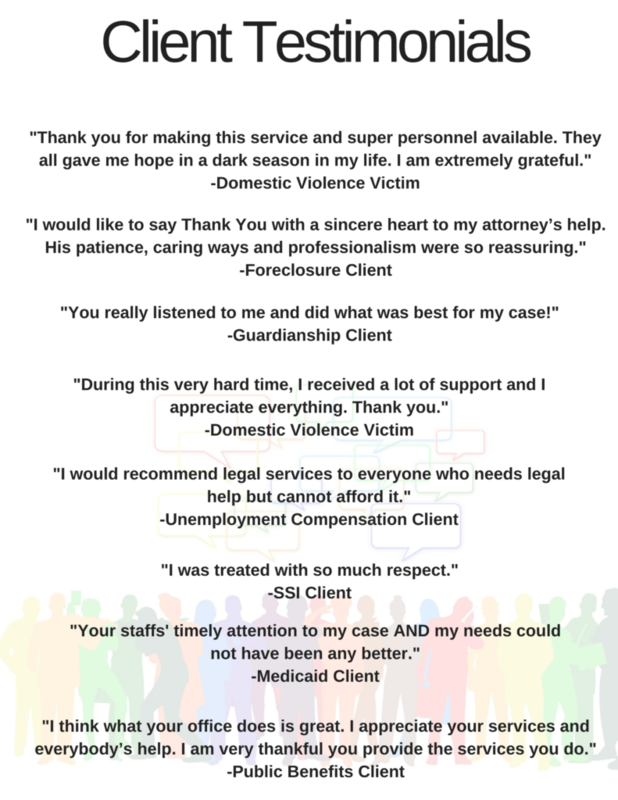 We were created to address the lack of basic legal assistance in civil matters for those without the means to hire a private attorney. Securing and preserving safe, decent, affordable housing for low-income people. 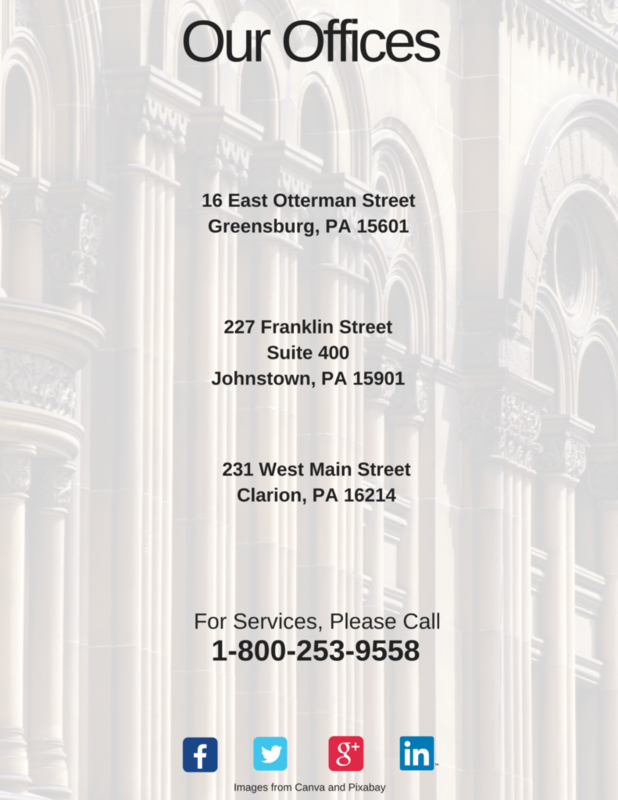 Including keeping individuals in their homes and ensuring essential utility services. 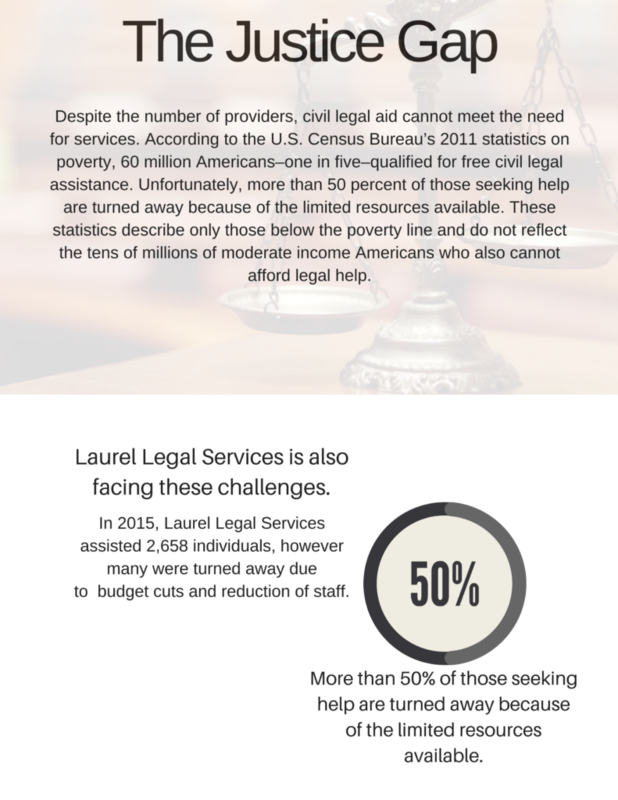 Protecting the safety, health and independence of low-income individuals and the stability of low-income families. 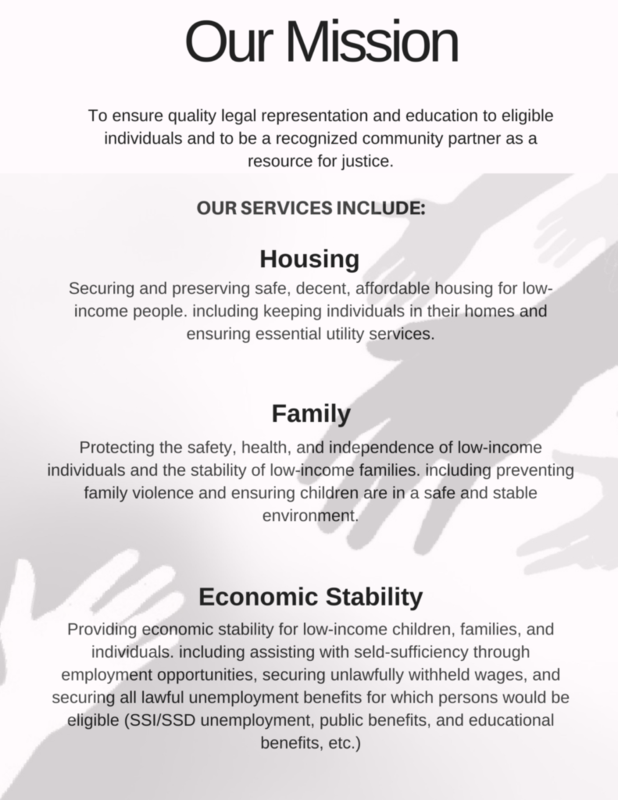 Including preventing family violence and ensuring children are in a safe and stable environment. 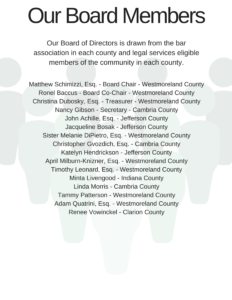 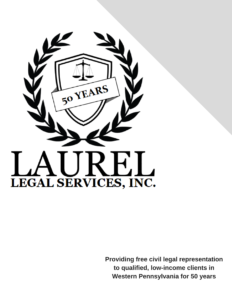 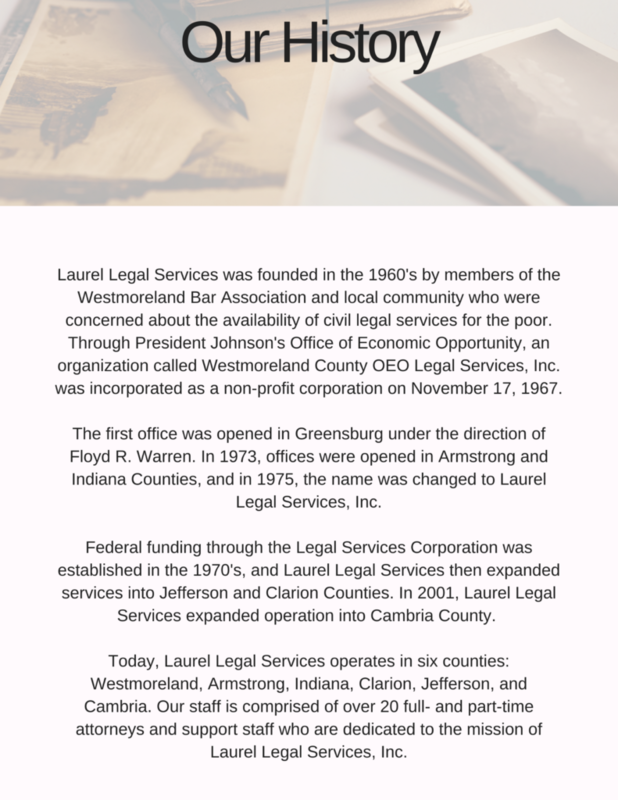 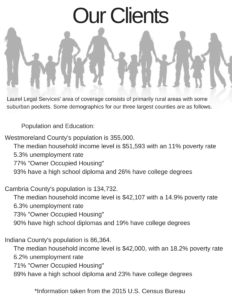 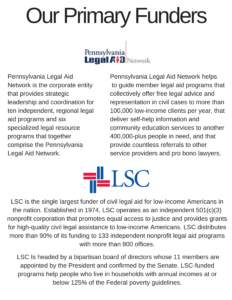 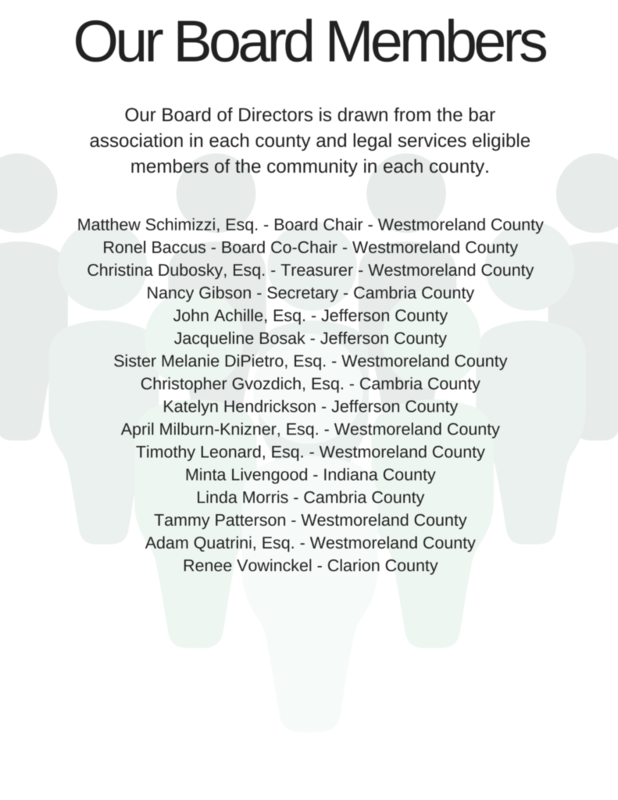 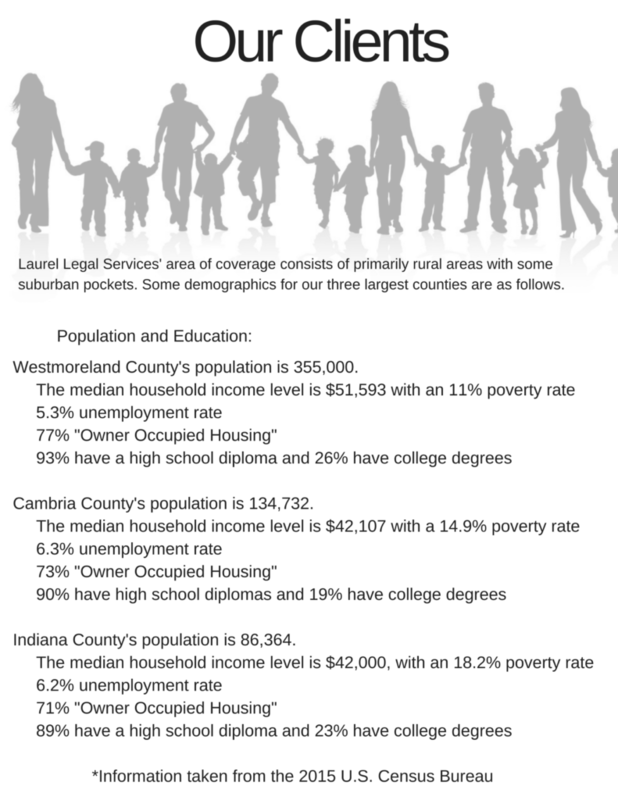 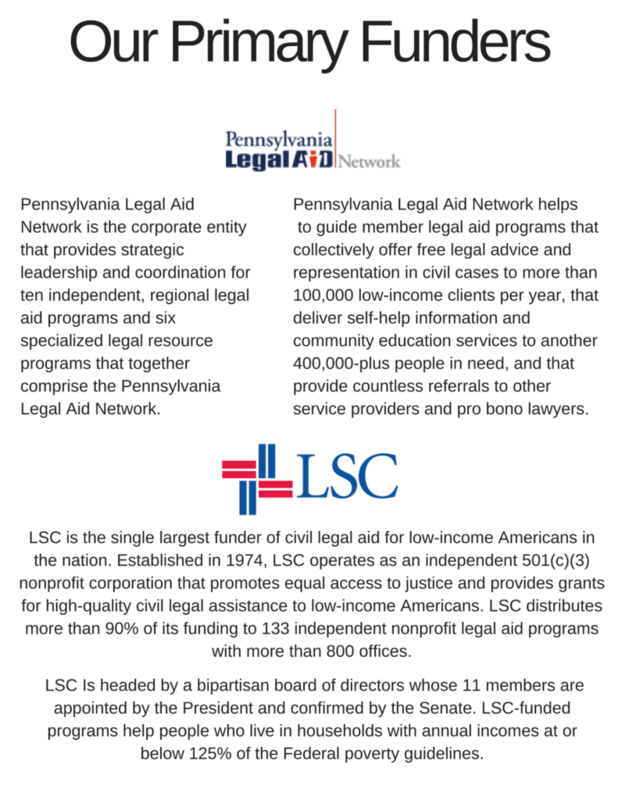 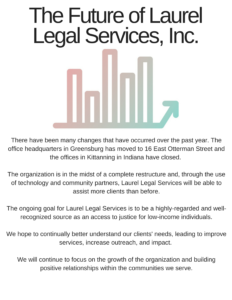 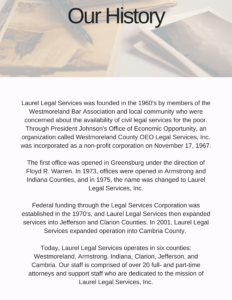 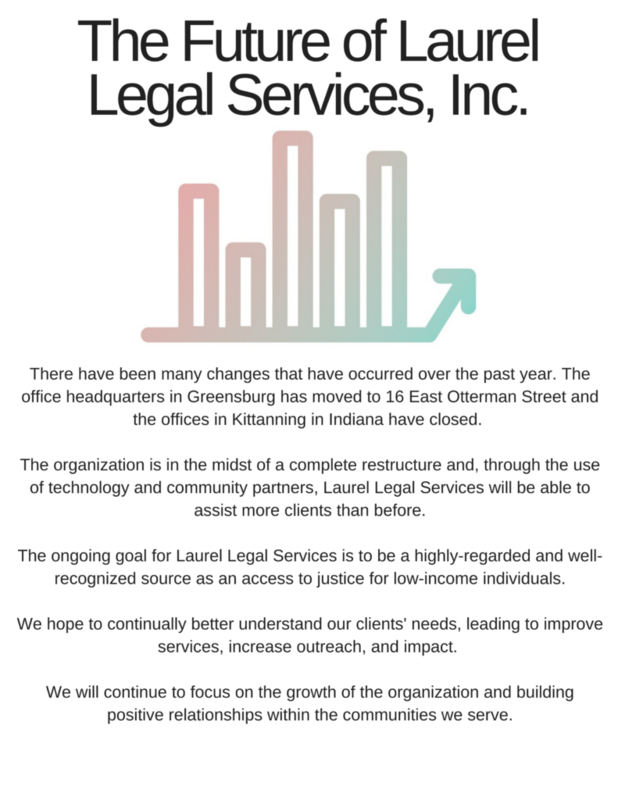 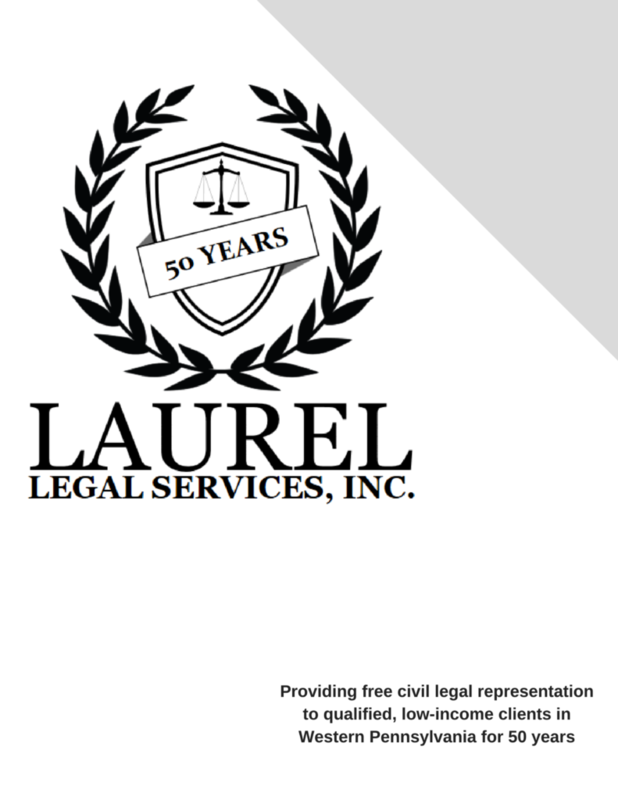 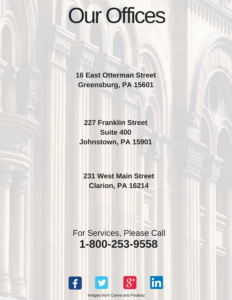 OVERVIEW OF LAUREL LEGAL SERVICES, INC.